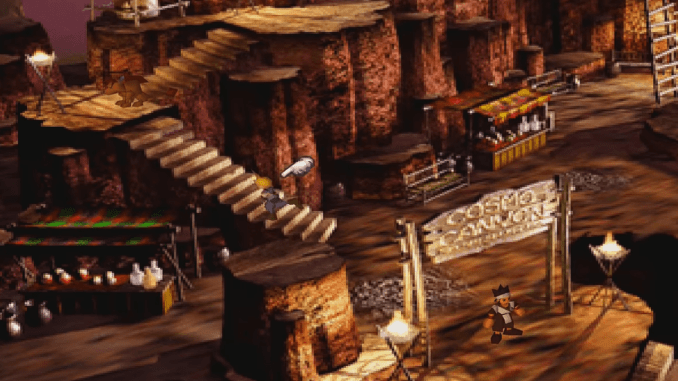 A complete walkthrough for Cosmo Canyon in Final Fantasy 7 (FFVII) including enemies encountered, obtainable items, and boss strategy guides. 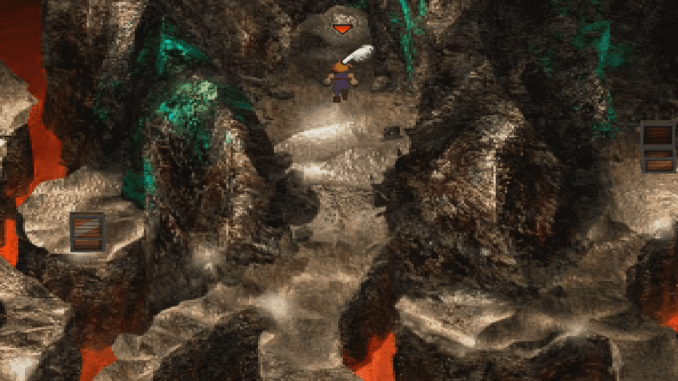 Added Effect Materia Cosmo Canyon Cave. Black M-phone Cosmo Canyon Cave. Fairy Ring Cosmo Canyon Cave. Turbo Ether Cosmo Canyon Cave. Wizer Staff Obtained after defeating Gi Nattak. Gravity Materia Obtained after defeating Gi Nattak. Head northwest from Gongaga and go up the cliffs to reach Cosmo Canyon. A cutscene play once you enter the village. Explore the village and buy items. Go to Red XIII on the stairs to the left. Move forward and go inside the house. Head up the stairs and go down the left path. Continue walking until you reach the next area. Buy items in the shops. Enter Red XIII’s house to the left. A cutscene will play. Find and talk to Yuffie at the store to the south of the ladder. Go back to Red XIII’s house and head to the observatory by entering the door to the north. 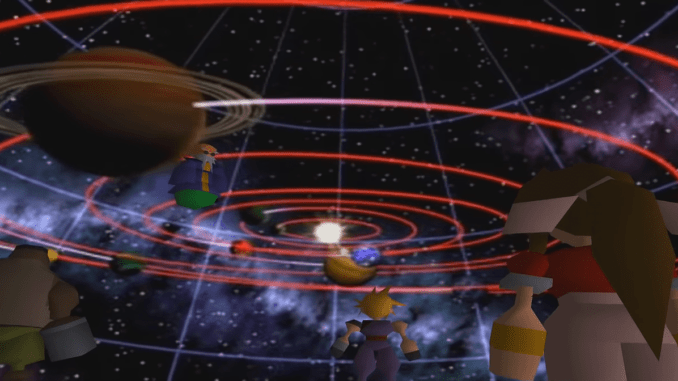 A cutscene plays once you enter the observatory and talk to Bugenhagen. After the cutscene, head outside and go to the square near the entrance of Cosmo Canyon. Talk to the party members. Head back up the area leading up to Red XIII’s house and talk to Bugenhagen. Prepare at least one Fire Materia in your party’s armor before proceeding further. Continue going down the path until you reach the bottom. Walk along the southeastern path, then go north. Enter the tunnel to the left and break open the odd shaped rock. Head back outside the tunnel then go north. In the next area, move up and take the left path. Be wary of the puddle at the end, as it will make you slip if you run. Walk carefully along the puddle then proceed south. 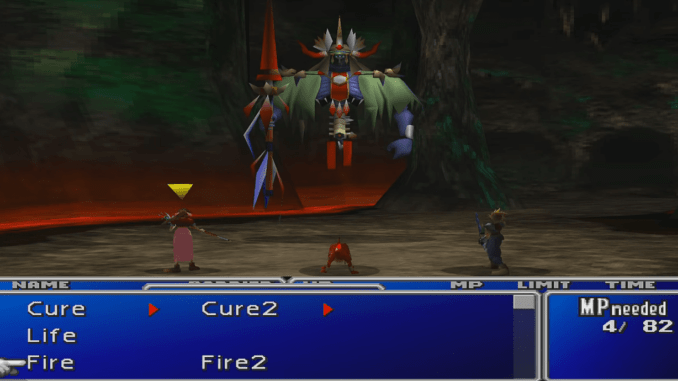 Collect the Added Effect Materia and go back to the previous area. Proceed down the right path, then move north. Go down the steps nearby. Move along the right path, then go north. Collect the Ether inside the chest. Proceed to the left, then go south. Get the Black M-phone inside the chest. Go back up the steps, then move along the upper left path. In the next area, go through the fourth path and defeat the first Stinger. Collect the X-Potion inside the chest. Now, take the second path and defeat the Stinger. Go down the left path and move south, then go right and collect the Fairy Ring. Go back to the previous path and head north. Defeat the last Stinger and go to the hidden tunnel to the left. Collect the Turbo Ether and proceed down the north path. Defeating Gi Nattak is fairly simple. Throw an X-Potion at the boss and the battle will be over. However, if you want a challenge, you can beat the boss without using an X-Potion. Take note of the Soul Fire crystal that Gi will put inside a party member’s body. These crystals will cast Fire2 to deal heavy damage. Use Limit Breaks and Cure magic against the boss. Avoid using any Fire magic..
You will receive a Wizer Staff after the battle. Pick up the Gravity Materia lying on the ground. Proceed to the next area and watch the cutscene.